Eye protection comes just second to the helmet for injury prevention, and in the world of optics Oakley sets the standard. The iconic brand has seamlessly integrated the frame and lens, maximizing the performance of cycling-specific optics. 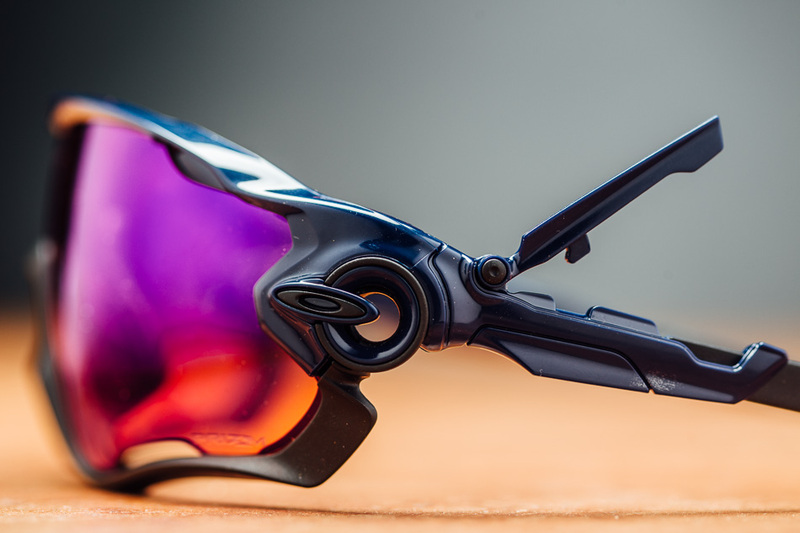 With this version of the Jawbreaker, Oakley uses its High Definition Optics (HDO) and Prizm technologies to create a lens that is clear, prevents optical distortion and performs admirably when it comes to impact resistance. While the average mountain biker rarely has to deal with roost, it is nice knowing that my lens will not shatter when I stuff my face into the shrubs that silhouette my local trails. The lens’ light salmon tint provides goggle-like coverage with fantastic contrast to delineate upcoming trail abnormalities. Roots, holes and rocks pop, allowing the rider to more confidently prepare for the craggiest of terrain. While it is extremely easy to swap lenses, the Prizm lens works so well in nearly all light conditions that the only time I would consider a swap would be for a night ride. Lenses with large surface areas, such as the Jawbreaker, are notorious for fogging up when you start to really work on climbs. While no pair of glasses is perfect, I was pleasantly surprised with the Jawbreaker's resistance to fogging. The only time I experienced a steamed-up lens was on rare days with 100-percent humidity, and occasionally when stopped atop a climb. The six large vents on the lens–four on top and two on the bottom–are the correct size and in the right location to maintain enough air circulation to keep the lens clear regardless of how much you're sweating. But what's a good lens if the frame that attaches it to your face is uncomfortable? The Jawbreaker’s adjustable arms and nosepad allow customization to ensure the frame is forgotten about moments after you put it on. At first, I could feel the glasses inching down my nose on jarring descents, but a quick swap to the second nosepad option remedied this problem, and the glasses stayed put. 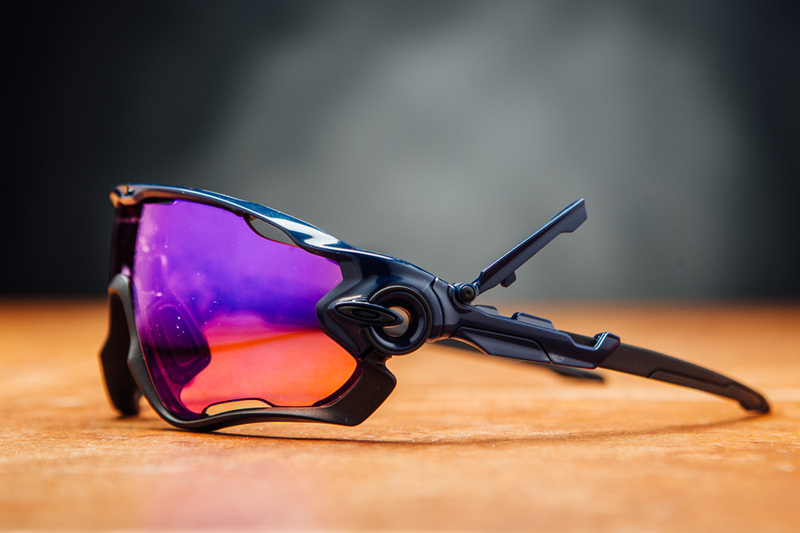 The Jawbreaker Prizm Trail offers virtually unobstructed and undistorted forward and peripheral vision and comfortably sits on your face–as a $220 glass should. The Oakley dynasty’s reputation of visual enhancement and quality product is maintained with this lens/frame combination.